We know at Waterside Aquatics that caring for your fish is very important to you – and us. 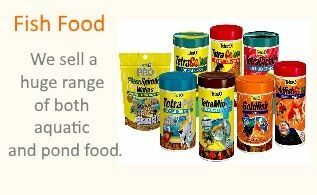 We have specially selected only the best coldwater, tropical and marine supplies, accessories and foods to offer our customers. 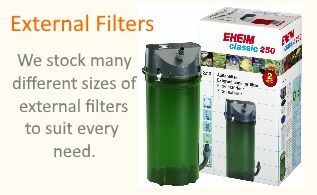 We stock a huge range of aquariums, heaters, internal and external filters, air pumps, ornaments and fish food to ensure your fish are well cared for at all times. 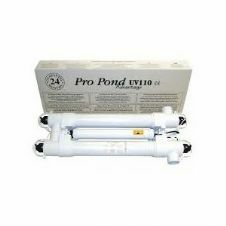 Having many years of knowledge in regard to fish keeping and spare parts, we are more than happy to solve any queries. Why buy your new fish tank from Waterside Aquatics? We have selected a great range of quality fish tanks and aquariums from leading brands such as Aquael, Biorb, Fluval, Juwel, Superfish & Tetra. With well-known brands such as these, you know that your fish tank will be made to last so you create your very own underwater world in your home. Great styles to suit everyone’s taste – from modern life style aquariums, bow fronted aquariums, corner aquariums, classic rectangular aquariums to the stylish bowl aquariums, you can be sure to find what you’re looking for. And there is something to suit everyone’s budget as we strive to bring you value for money fish tanks whether small or large, from cheap fish tanks to the more expensive iconic style and branded aquariums. Here at Waterside Aquatics we specialise in bringing you the latest aquarium products from the greatest fish tank brands in the UK. From fish foods, aquarium heaters, internal filters, external filters, fish tank ornaments or aquarium cleaning tools to make your life easier, you’ll find everything you need to kit out and maintain your aquarium here at Waterside Aquatics. Our friendly team have extensive knowledge on all the products between them, so if you’re unsure as to what you might need, what the item can (or can’t) do! then, please, feel free to contact us for more information. After buying your aquarium or fish tank, you need to know that maintaining it is easy too. Here at Waterside Aquatics you can get lots of aquarium spares from many of the leading aquarium brands in the UK. We stock a lot of aquarium spare parts at all times to ensure you can obtain the spare parts for your fish tank quickly and efficiently. Don’t forget, a well maintained tank leads to healthier water quality which in turn leads to healthier, more vibrant, long lasting fish. Whether building a new garden pond, renovating an old fish pond, rejuvenating an existing water garden or ensuring the pond you have is well maintained, we have everything you need here at Waterside Aquatics & Pet Supplies to ensure you achieve your goal. 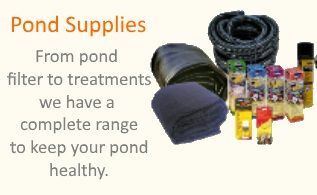 From pond liners, pond pumps, fish nets, pond fish food, pond filters, UV Filters, test kits, pond treatments, filter foam or pond fittings you will find an extensive range at Waterside Aquatics & Pet Supplies. We have selected the greatest brands including Colombo, Evolution Aqua, Gordon Low, Kockney Koi, NT Labs, Medikoi, Simply Pond, Superfish & Tetra. 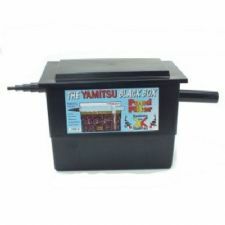 We have tested many of the products between us so also know which ones will help you ensure your garden fish pond is well maintained and able to withstand the elements all year round.